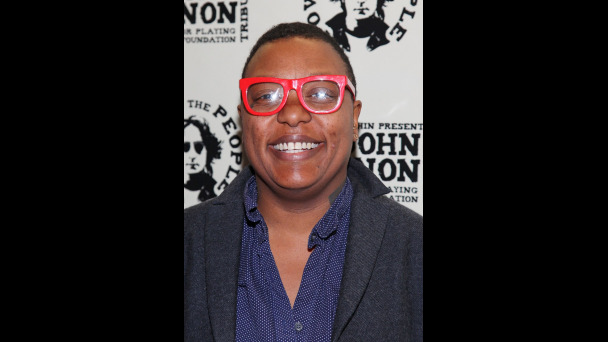 See the gallery for quotes by Meshell Ndegeocello. You can to use those 8 images of quotes as a desktop wallpapers. My favorite period is when we lived in the land of the three-minute song. The Motown thing - I thought they were genius in knowing that's as much as a listener can take. My greatest influence is Jimi Hendrix, and if he's been reincarnated, or if he's looking down, sideways, or looking up, I just wanted to tell him that I love him and thank him for opening doors for me. I just wanted to make it beautiful for him. It's hard being bisexual, omnisexual, multisexual, whatever you want to call it, when people have their agenda and expect you to just represent their agenda. Once you encounter people who are really testing the limits of kindness, that's when you start to build up a shield and close yourself down. Allow the artist to finish the piece of work before you critique it. Definitely dub is in my body forever. I think I hear everything through a dub filter. Even when I play rock music, I play through a dub filter. I joke that a person of color would never make a movie like 'Midnight in Paris.' Nostalgia isn't so enticing. I just try to tell a story with a song, and be able to try to transmit the emotion to you. That's all I'm really trying to do. I watch documentaries for information. I watch films to be entertained. I'm pushing ahead on my own - you no longer need a large record company to make you a star. Not to be a Bible-thumper, but there really is nothing new under the sun. There's no hierarchy in suffering. I think songs that are transcendent are the ones where everyone can feel something from it, you know? Yes, violence begets more violence, but historically this has been the way of the world. You make a choice to make music or be an actor, and people automatically think they can have access to your life. I find myself wanting to make music at the dining room table or in the bedroom - I'm kind of a mobile writer, so I sort of move around the house. But the attic is definitely where I can make the most noise. While everyone on the lower floors screams 'Earthquake!' But no! It's just my bass! I love children. I'd prefer to be around children much more than adults, actually. And I like animals, too. I'm just really into beings who are at ease with themselves. 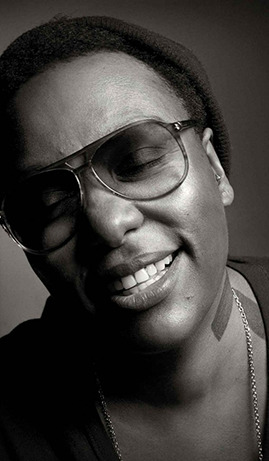 Much more quotes by Meshell Ndegeocello below the page. I'm a true believer that unless you're Prince or Stevie Wonder - and even Prince is showing that he needs help - not everybody can produce themselves. I'm definitely not that person. I'm becoming more and more apolitical - I think the most revolutionary thing you can do is just live your life and have a good time. Before they scoop you up on the street or you die. 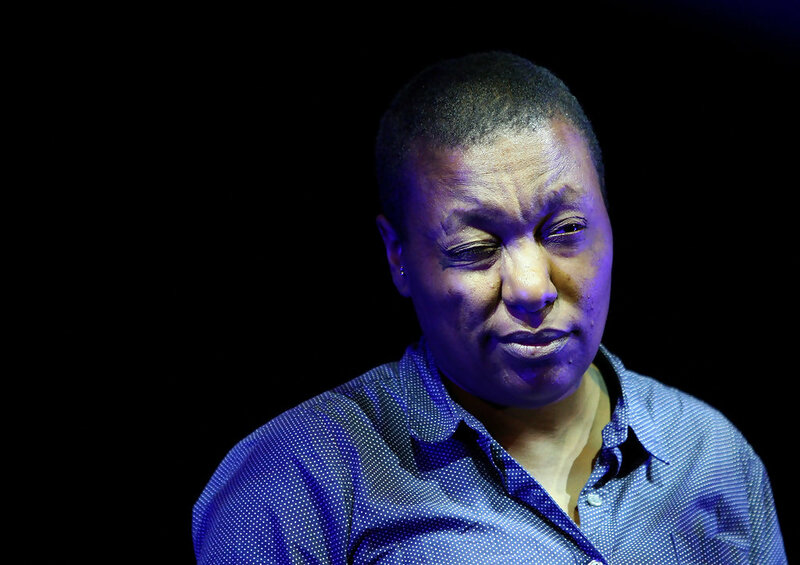 It's interesting to do other people's music - that's how I learned to play, by learning other people's songs. It's nice to delve into how other people got to where they are. It's very limiting to us as a species, the concept of better-than/less-than. It just seems to be at its end. I'm like, this all fades to black, and it's gone. It's dust. Choose carefully what you obsess about.